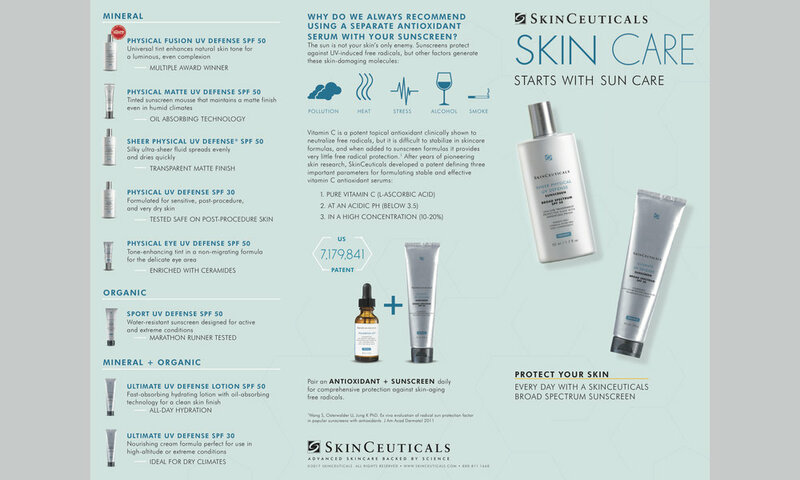 For the launch of SkinCeuticals new sunscreen, Ultimate UV Defense SPF 30, I worked closely with marketing to create a tri-fold product brochure covering all SkinCeuticals sunscreens and the SkinCeuticals sunscreen difference. 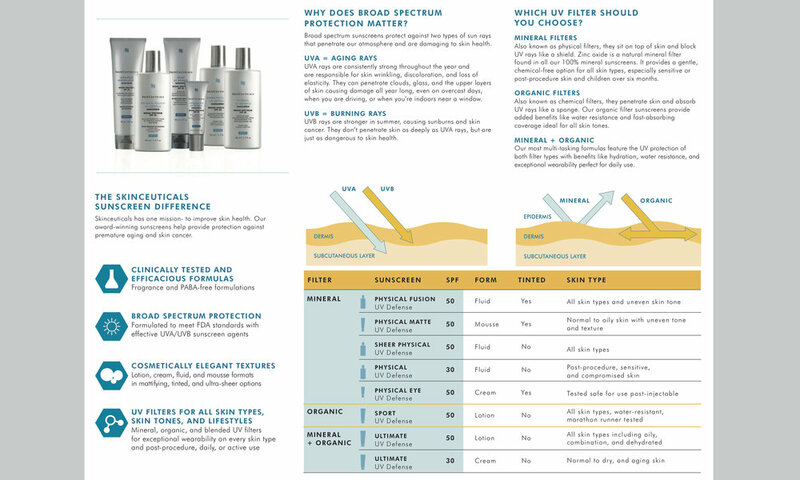 With two charts and one table, this brochure informs the customer of all the benefits of using SkinCeuticals sunscreen. Underneath the brochure is an accompanying 4x6 intended for an internal "cheat-sheet." This card goes to doctors and their staff to answer any patient questions. 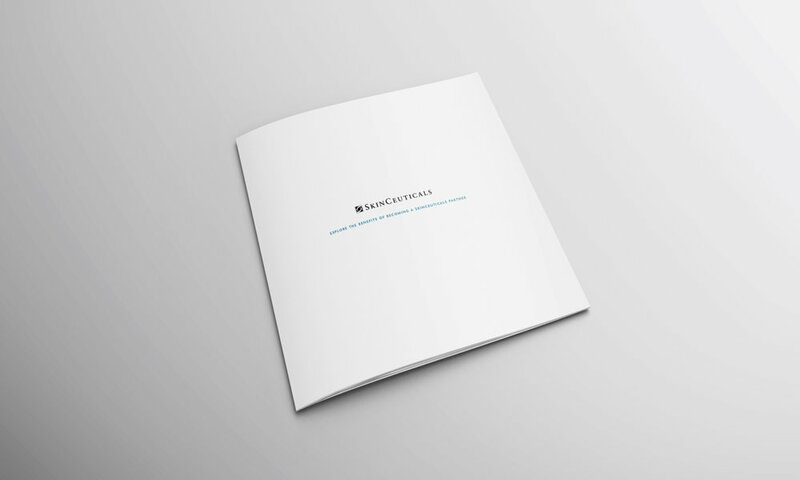 A 68-page consumer product brochure. 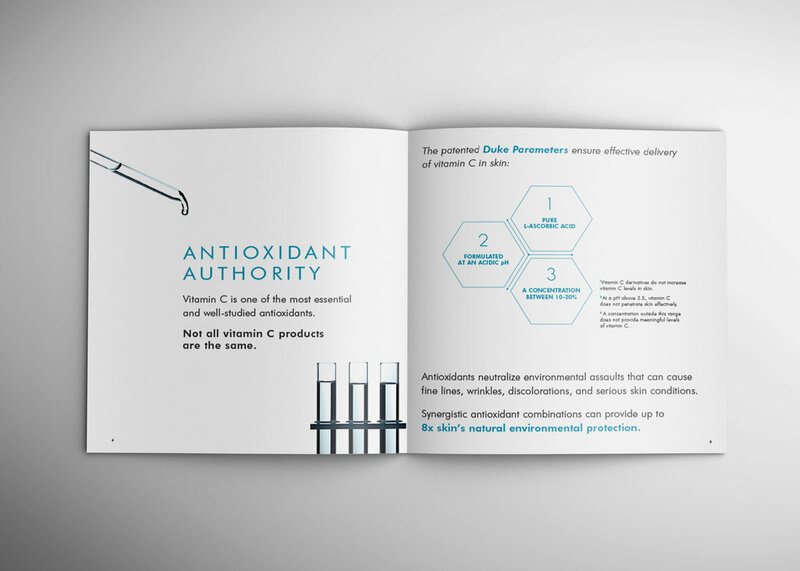 This "Blue Book" covers every SkinCeuticals product, what the product is good for and the studies (before and afters) of how well the product performs. 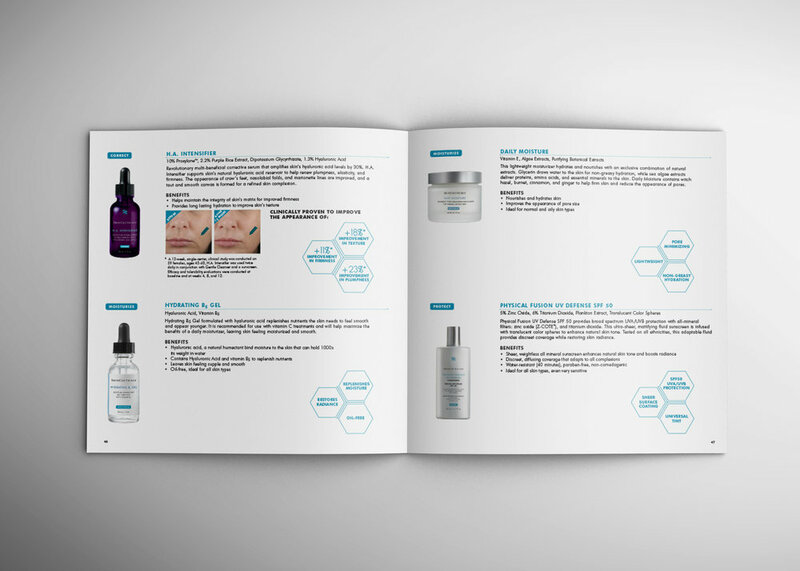 A pamphlet educating doctors, physicians, and aestheticians on SkinCeuticals products and programs such as Loyalty memberships and benefits. 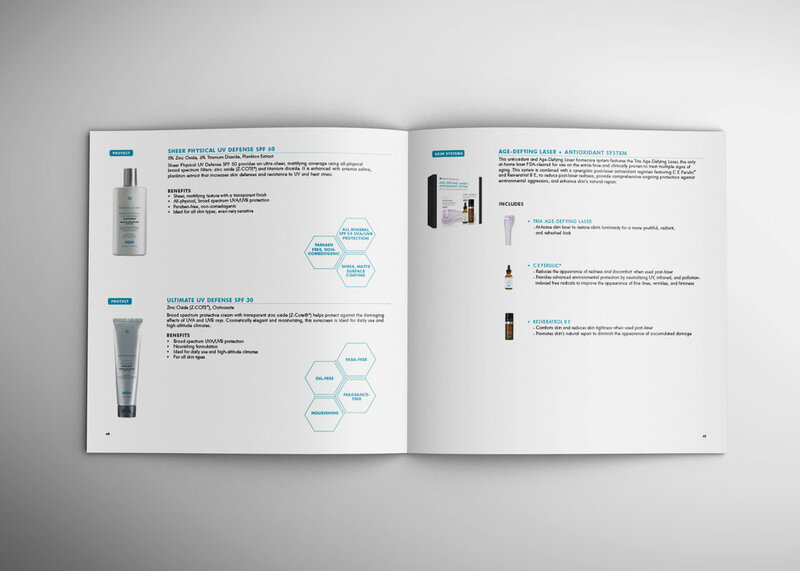 This book goes through the SkinCeuticals story and covers the brand with a stronger focus than the Blue Book, above.